Falling down a rabbit hole at Discovery Park. Many a homeschooler are lovers of literature. So, you can imagine the delight at having an opportunity to fall down actual rabbit holes at Discovery Park. And frankly, who doesn't love a good hole in the ground? Filling them in was a first for Squad and quite popular, as was watering. Matt, our forest steward from the Green Seattle Partnership hauled his own personal hoses in a backpack so we could hook up >50' away to water the native plantings. Other work included digging out blackberry and mulching. There is much to see in this 500+ acre historic park, we are looking forward to coming back. Mats of native trailing blackberry / Rubus ursinus. Lovely Puget Sound. Not so lovely Himalayan blackberry / Rubus armeniacus. 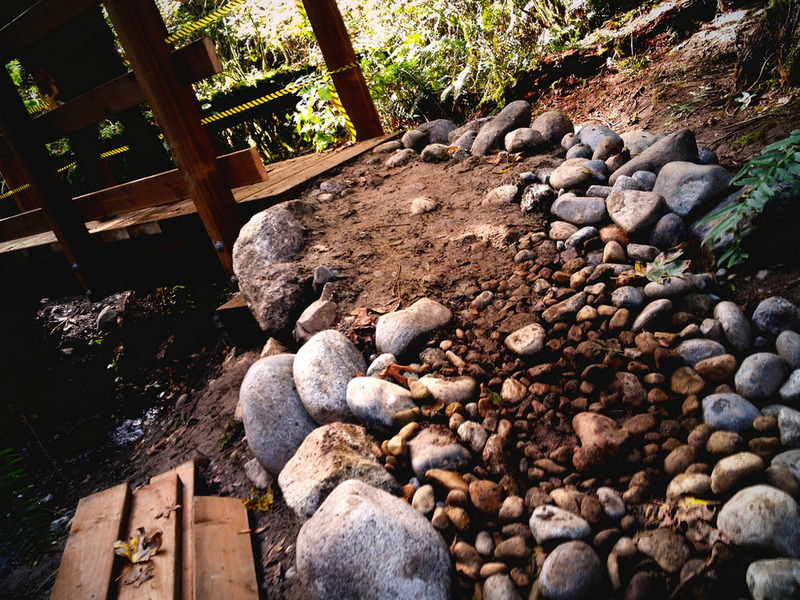 Wetland buffer maintenance at Tukwila Pond Park. Jessa hacks the noxious common hawthorn / Crataegus monogyna. Hidden away behind the big box stores in Tukwila is a very large pond (a lake really) surrounded by willowy wetlands. It was improved via the mitigation process, as required in exchange for development on (poor quality) wetlands nearby. The site used to be agricultural, and indeed the old fence posts can still be seen poking out of the water. Due to development, creek out-flow was restricted and the area became permanently flooded. Now it is excellent bird habitat. Our work with the City of Tukwila was to remove invasive noxious species from the native planting buffer. I casually mentioned to a couple of passionate children, "This tree is actually an invasive hawthorn species. It can be harder to removed trees since they're large, sometimes you can girdle them to kill them." Before I knew it they formed a team to start scraping it away and after an hour's hard work them eventually removed the tree entirely! Other species we removed were holly, ivy, blackberry & nightshade. After working, we hiked past abandoned train tracks and through the thick willows to reach the open water. If funds could be secured, the City would like to create greater public access. Biologist Sandra Whiting pointed out wetland species along the way and shared the cultural & restoration history of the site. QUIZ! What leaves are these? cocean spray / Holodiscus discolor, snowberry / Symphoricarpos albus, noxious common hawthorn / Crataegus monogyna. Sandra Whiting teaches us about noxious reed canary grass / Phalaris arundinacea. Genetic variation - a variegated (noxious!) blackberry seedling. 4 noxious sp together! Ivy, baby blackberry, baby holly & baby bittersweet nightshade / Solanum dulcamara (which not the same as deadly nightshade / Atropa belladonna). Black cottonwood / populus trichocarpa. Black cottonwood / populus trichocarpa seed capsules. Cheasty Greenspace- bucket brigade mulching on Beacon Hill. After-play is always good fun, on the paths, around the bend and up the trees. The fringe-cups / Tellima grandiflora are blooming. Another lovely spring day in Seattle, spent in service of nature and community under the leaves. 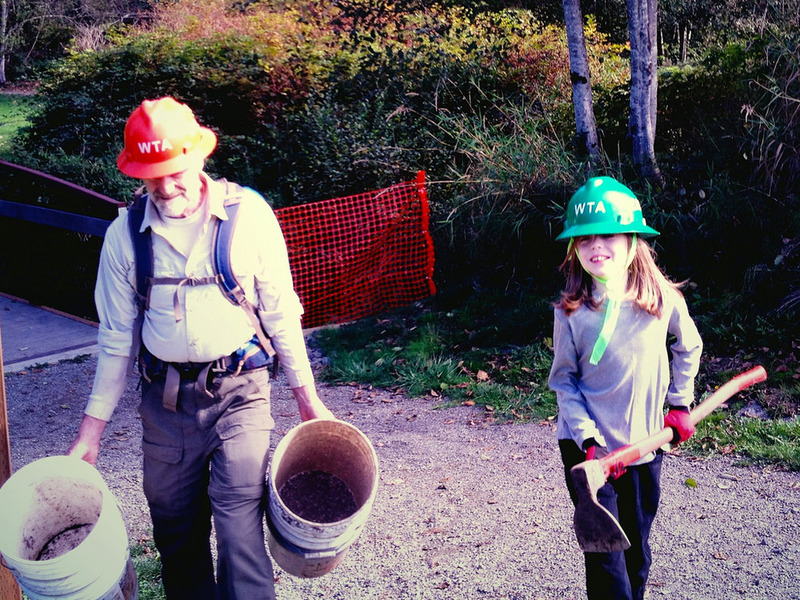 I will be hard-pressed to keep this post from running on and on….. we just had such a wonderful time with the Nature Consortium and the other volunteers that joined us at their public work party at Pigeon Point Park in the West Duwamish Greenbelt. It was a delight to meet participants from the Service Board, a local non-profit that "mentors teens to conquer personal and cultural challenges through public service and outdoor adventure." (read: civics and snowboarding) I overheard engrossing conversations between 7yo's and 17yo's, heads industriusly downward like the nodding onions being planted; they covered everything from their favorite authors to "What is the scientific name of plant this plant again?" (Allium cernuum). Also planted in the meadow and forested wetland was thimbleberry / Rubus parviflorus to the cheery tunes of the Mighty Tiny Band. Always a pleasure. The Cheasty Greenspace is a terrific place for the Homeschool Stewardship Squad- the central location is ideal, fun, and the coordinated community efforts to restore their forest are a pleasure to participate in. The dedicated group of neighborhood volunteers has not only worked hard, but thought strategically about how to harness municipal and volunteer resources in support of their forest. They are excited to announce that the City of Seattle has adopted the northern acreage on which to create a pilot-project mountain bike park. 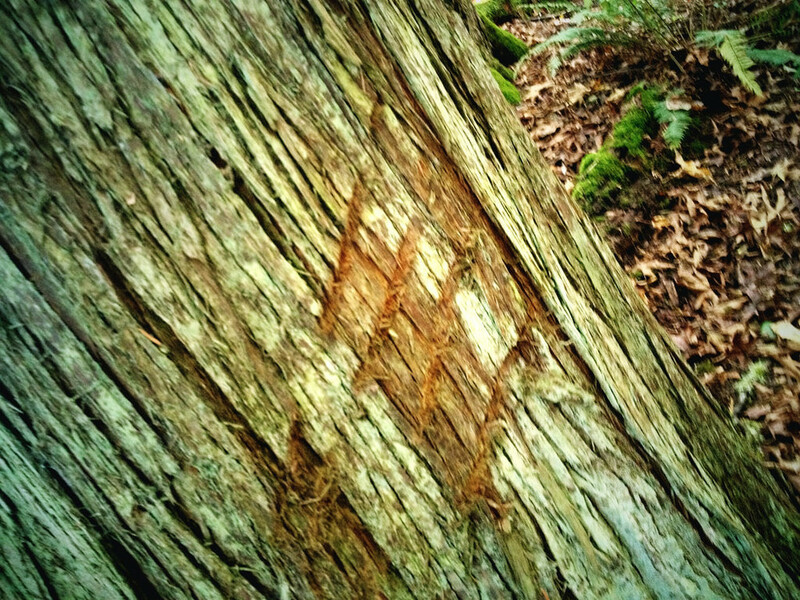 They are taking notes on the popular Duthie Hill Park, Issaquah. Much planning is underway to discuss a wide diversity of issues such as trail standards to prevent erosion and how to separate pedestrians from bikers. We sheet-mulched native plantings and hauled many a bucket of wood chips. It will be a treat to keep working at this site and watch it fulfill its potential as a healthy urban forest accessible for recreation. Trillium ovatum / wake-robin. Almost spring! The Green Seattle Partnership is a supporter of the Cheasty Greenspace.